This is a Hamilton Point based on the basal thinning flake on the points stem. Hamilton points consistently have basal thinning of the stem area, usually on both sides. That thinning can be one or two or three thinning flakes that pretty much extend the length of the stem. The chert is heat treated and has turned shades of pink and red due to heat treating and an iron content in the chert itself. From the Middle Archaic (~7,500 to 4,000 yrs BP) onward, heat treating of chert became common as a means to make it flake better. This is a Simpson Point generally considered to be dating from the Early Archaic period (11,500 – 7,800 BP). This type of point is very rare and believed to be among the most ancient of chert points in this area. The Simpson type has a distinctive lance head-like shape with an exceptionally recurvate point and a pronounced incurvate base area. Simpson points characteristically have extreme width-to-thickness ratio (ca. 12:1 up to 21:1); large and broadly expanding percussion flaking along the mid-lateral blade which have been 3/4 shot flaked as a thinning method; and exceptional recurvation, making the constricted base area ill-suited for projectile propulsion. 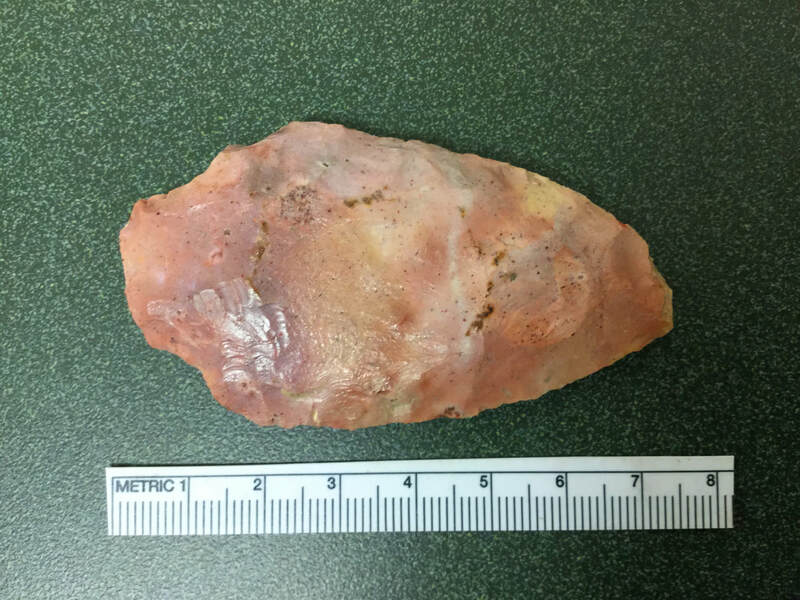 Therefore, it is generally believed to be a knife rather than a projectile point (Dunbar, James S. 2016. Paleoindian Societies of the Coastal Southeast. Gainesville, FL: University Presses of Florida.). This is a fish hook made from animal bone and dating from the Paleoindian era (14,500 – 11,500 BP). 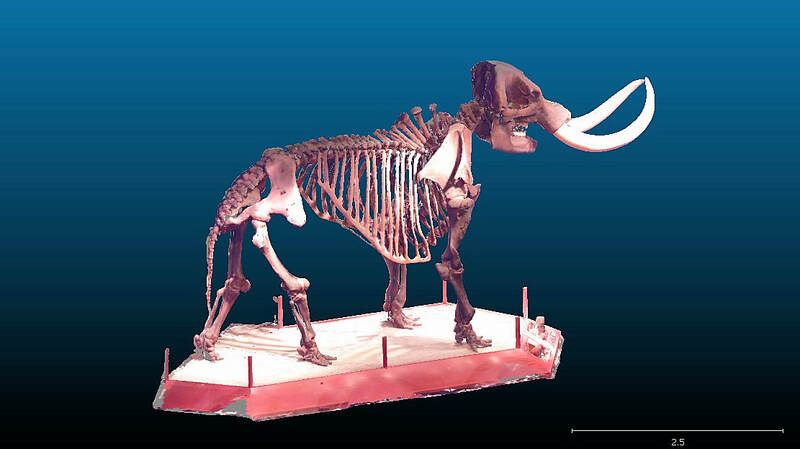 This example from the Aucilla River is unusual because it may have been made from the toe bone of a Pleistocene horse. Though not proven, if it is, it would represent the oldest fishhook in the Southeast. Bone fishhooks more commonly date from 300 BC or so to the time of European contact. Bone fishhooks were made in different sizes presumably for the same reasons they are today. Large hook for big fish and small hooks for smaller fish of fish with small mouths. 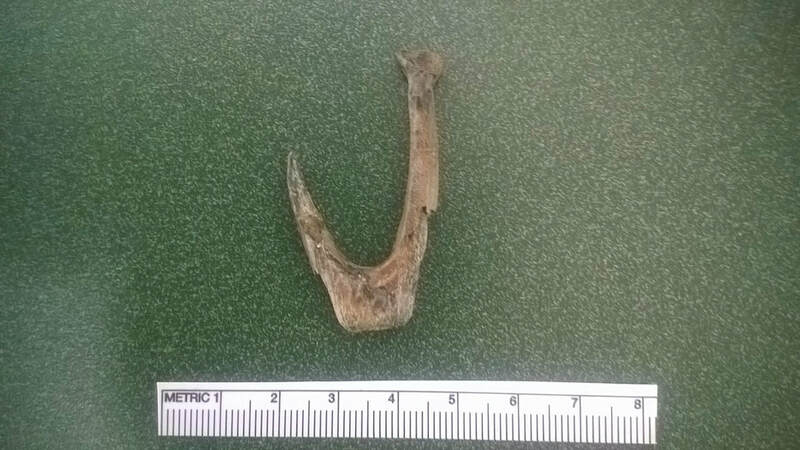 Many were made in the familiar “J” shape but some were straight pieces of bone that formed the hook or fish gouge. Fish gouge were intended to let the animal swallow the bait to its belly. Once there the fishing line was pulled tight, the gouge became implant in the fish’s stomach with no escape other than the fishing line breaking. Fishhooks required fishing line made of a material that is not weakened by underwater wet environments. Probably the most common fiber used to make fishing lines was Indian Hemp or Dogbane so named because it is highly poisonous to dogs (Apocynum cannabinum L.). Dogbane was also used for making nets and ropes. 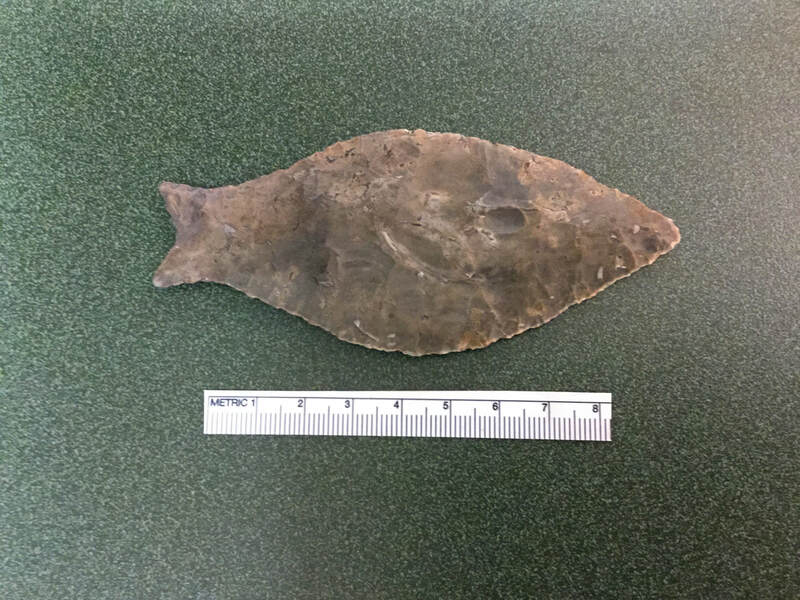 Florida’s prehistoric peoples were adept fisherman. In addition to creating fishing hooks and lines, they also wove nets from plant fiber. Fish traps and weirs were also strategically place in rivers and other waterways to catch fish. Weirs and traps were often constructed of wood but sometimes stone. Fish weirs in Florida are mostly manufactured as a wooden structure built in the water. At least one rock fish weir is known in Florida but are less common here and only occur in rivers where small to medium sized rock boulders are locally available and can be stacked to form a weir. Locally, a Deptford aged (~300 BC to ~300 AD) fish weir is recorded in the Wakulla River near the US 98 bridge. It consisted of numerous wooden stakes driven into river bottom sediment. Most of that weir is long gone, but the bottom of the wooden stakes survived because they were located in an underwater environment still mostly buries in sediment. Fish poisons to stun or outright kill fish were also used as a means of gathering fish as a food resource. On the banks of the Wacissa and other local river drainages the Red Buckeye tree, Aesculus pavia is a plant that native peoples used to concoct a fish stunning poison. The Red Buckeye or Firecracker Tree as it is sometimes called due to its bright red flowers, is a shrub or small tree found surrounding and growing on prehistoric sites such the Coonbottom Mound on the Wacissa River. Similarly, the Jamaica Dogwood, Pisidia piscipula, is a tropical tree in South Florida that was used to make fish poison. 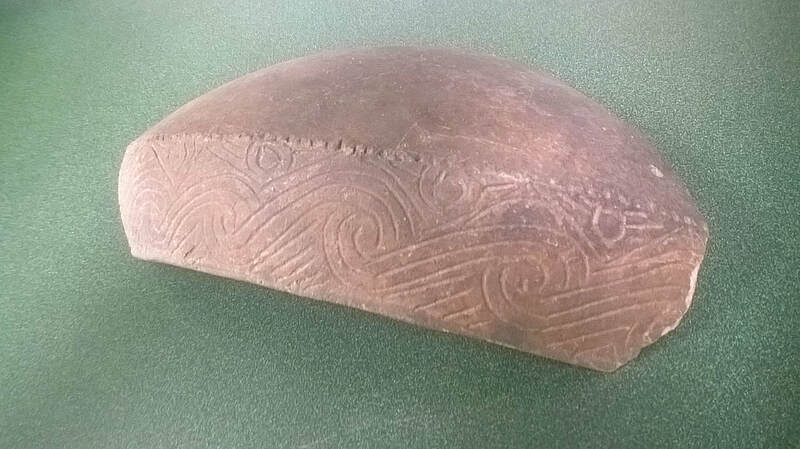 This beautifully burnished and incised fragment of a ceramic vessel is one of the types associated with the pre European contact (700 AD - 1528 AD) and early contact (1528 AD -1633 AD) Fort Walton culture of this part of northern Florida. Native Americans were the historic Apalachee encountered by Panfilio Narvaez in 1528 and Hernando de Soto in 1539. The Fort Walton culture is Florida's only true Mississippian culture.